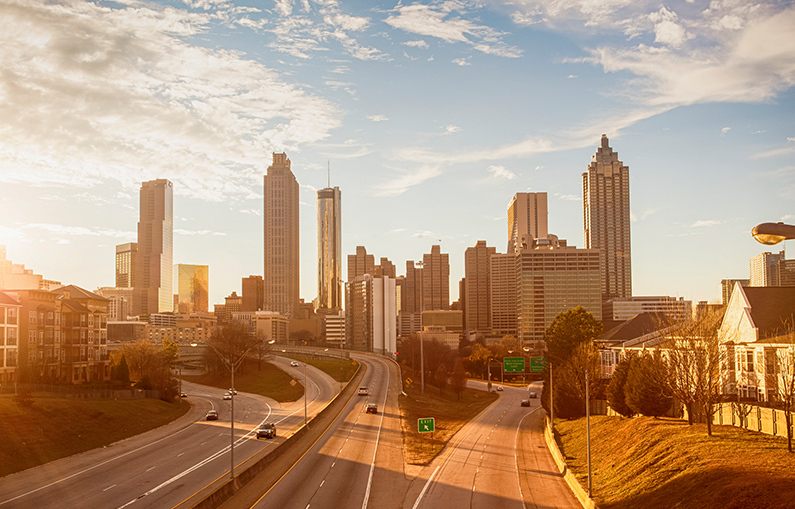 Home to the world’s busiest airport, Atlanta is an energetic and dynamic city that serves as a testament to industry and the historic roots of the South. If you’re in search of an urban oasis with an abundance of attractions, you’ll feel right at home in the bustling metropolis of ATL. One of the world’s most globally recognized brands, Coca-Cola has been the caffeinated darling of our country’s culture since its invention in 1886. Upon entering the World of Coca-Cola, the cola enthusiast (or casual sipper) is overwhelmed with evidence of the drink’s international impact. And if you’ve ever wondered what Coke tastes like in Japan (or Italy, or Australia), look no further—guests can also sample over 64 products in the Taste It! Exhibit. After an interactive history lesson, Coke and Pepsi devotees alike are sent home with a complimentary souvenir: a museum-exclusive eight-ounce glass bottle of Coke, bottled right in the heart of Atlanta. Just a few miles from downtown Atlanta, the Cator Woolford Gardens at Frazer Center serve as a quick city getaway and a picturesque backdrop for countless weddings and events. Situated on 39 acres of lush hardwood forest, the gardens are resplendent in their vibrant colors, unique flora, and fantastic peacefulness. Escape to the gardens for an afternoon and feel rejuvenated; this luxuriant haven boasts old trees as wise as Atlanta herself, offers a quiet space for weary travelers, and welcomes the changing Georgia seasons with ease. One of the great dreamers of our time, a young Martin Luther King, Jr. made his home in suburban Atlanta. At the Martin Luther King, Jr. National Historic Site, visitors are welcome to explore his boyhood home, which has been expertly preserved and maintained by the National Park Service. Amongst these grounds guests can wander the same paths that Dr. King once walked, gaze upon the International World Peace Rose Garden, and sit in the pews of the church where he was baptized and later became pastor. A beautiful tribute to Dr. King’s life and his commitment to civil rights, this historic site is a must-see. Margaret Mitchell—the author of the iconic Gone With the Wind—made her home in Atlanta, and at the Margaret Mitchell House and Museum, guests can explore the very Tudor Revival abode where the stunning novel was written. On display are foreign editions of Mitchell’s Pulitzer Prize-winning book, unpublished writings from her archives, and anecdotal exhibits based upon her career as a reporter. The museum provides a terrific insight into an incredible writer’s life, and reminds us all of the long lasting impact that the written word can have. To plan your trip to Atlanta or for an extended guide of things to do, visit the official Atlanta city guide at http://www.atlantaga.gov.